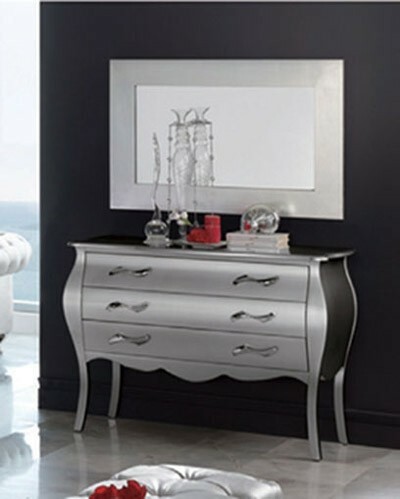 Queen Bed: L66" x D89" x H45"
King Bed: L83" x D89" x H45"
Armchair: L43" x D29" x H27"
Bench: L54" x D18" x H17"
623 Lorena bedroom set comes in exclusive satin silver finish made in Spain by Dupen and imported by ESF. 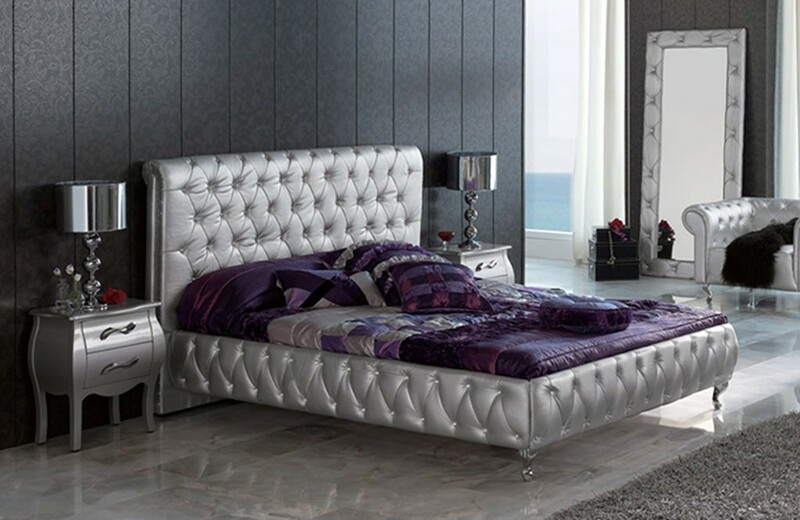 Luxurious button tufted leather bed comes in queen or king sizes and includes a platform so box spring is not necessary. 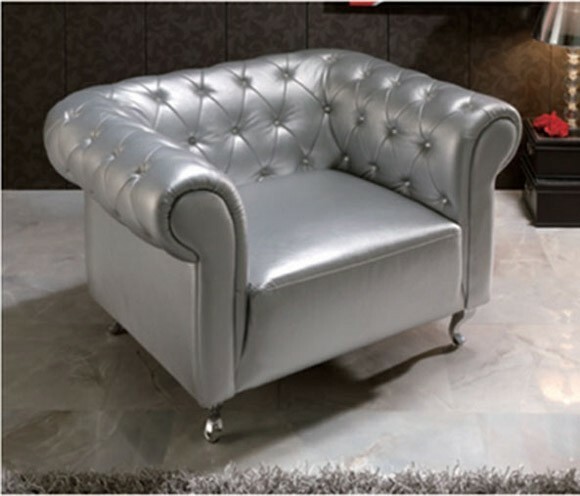 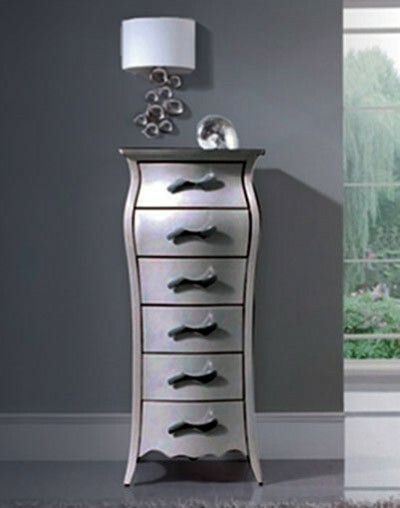 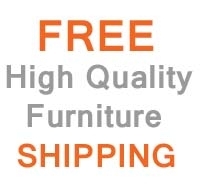 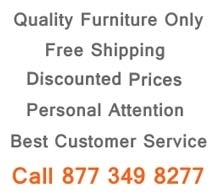 Collection has different furniture pieces such as dresser, nightstands, standing mirror, chaise lounge and bench.